We worked with Roots to grow awareness and expand understanding around the program’s impact. At a minimum, the re-branding needed to appeal to three audiences: ballpark consumers who buy the salads, youth who participate in the program, and potential donors to keep the program viable. But it went further: lifting spirits, improving visuals, and aligning the mission to match the elevated food options being created. Since its inception, Roots for the Home Team envisioned sprouting up in other major league baseball cities. The Milwaukee Brewers recently become their first expansion team. In 2018, Milwaukee youth stepped up to the plate at Miller Park. 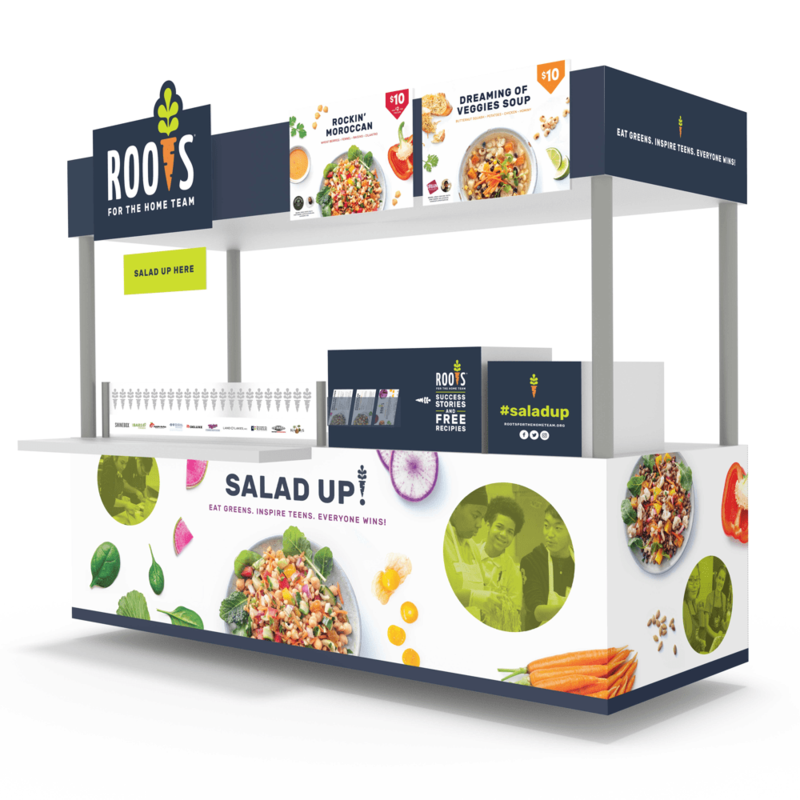 Roots plan to add new ballparks and work with new communities – and new food options, including delicious soups for the cooler days of Spring and Fall.